Kyle Finch Visits Fair Oak Junior School! Yesterday we had a very special visitor to school - Kyle Finch! 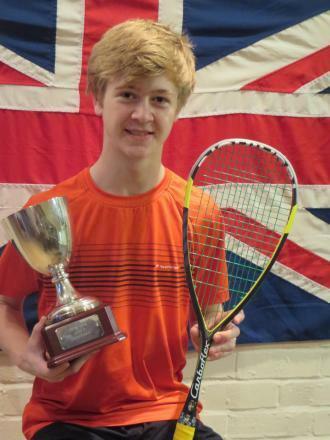 Kyle is the number one ranked under 17 squash player in England and Europe. He was the youngest ever player to play for Men’s Hampshire team and has gone on to win numerous national and international titles. In February of this year he was called up for the England under 19 squad! He is the youngest ever player to be asked to play in the older junior group. If he holds his place he will be even more unique in that he could be in the squad for three years, again the first time this will ever have been achieved. Kyle led a demonstration assembly for the children which they all thoroughly enjoyed. Hopefully Kyle will be an inspiration for some of our pupils to take up the sport.